The Melbourne Writers’ Festival starts next week. I can’t make it this year but some of my readers might be able to get there. You can access all the details here. I’ve never attended this particular festival, but looking at the programme it seems like a very interesting time in store for everyone who attends. There is an excellent line up of writers attending from many parts of the world. There is a charge for some sessions, but looking through the list of free events I’d say that there is something in that long list for everyone. I must try to get to it sometime in the next few years. The same applies to the Sydney Writers Festival, and I missed all of the sessions of this year’s Adelaide Writer’s Week. Roll on March 2014. In the meantime I plan to attend several local regional festivals here in South Australia. 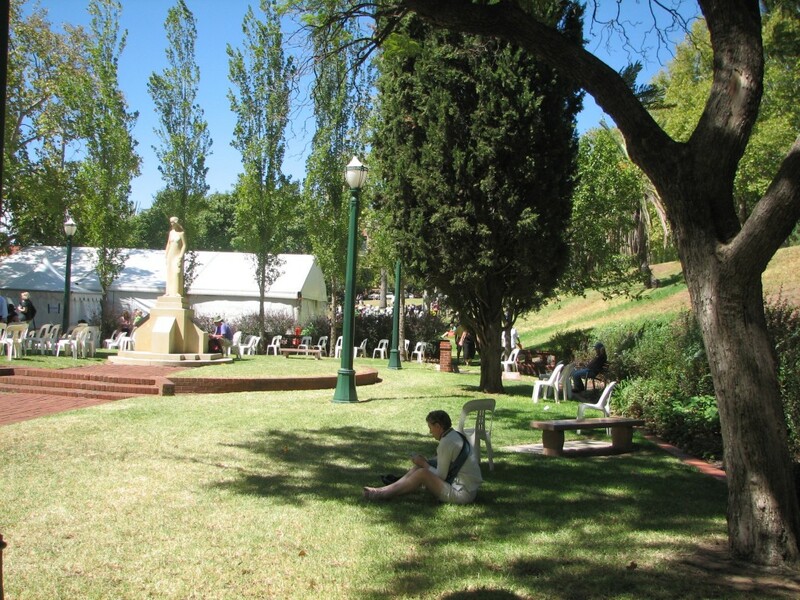 As far as writers’ festivals in Australia, South Australia has led the way for decades. Writers’ Week has been an important and much loved feature of the Adelaide Festival of Arts every two years since the 1970s. The festival and its Writers’ Week is now an annual event from this year. It is held in March when the weather here is often perfect for outdoor events such as the Writers’ Week. In the last few years several other smaller festivals for writers have emerged in different parts of the state. Salisbury Writers’ festival is probably the leading one, and the one with the longest history. It is sponsored heavily by the City of Salisbury in the northern parts of the greater Adelaide metropolitan area. I attended on one day several years ago and thoroughly enjoyed the day. There is an extensive programme of events and various competitions as well. Click on the website address to find out details. Website and programme details: Click here. Over recent weeks our capital city Adelaide has been abuzz with its annual Fringe Festival, followed by the now annual Festival of Arts; it used to be every two years. Somehow we manage to make this month into “Mad March”. In addition to these two major festivals organisers also manage to cram in the Clipsal 500 car race and this weekend we have the Adelaide Cup, a horse race. One of the features of the Festival of Arts I always look forward to is Writers’ Week. 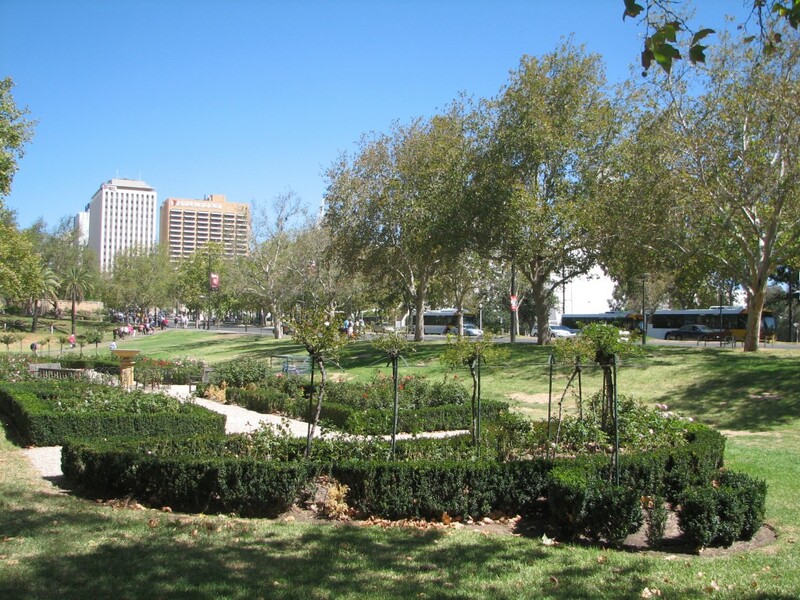 This is always held over about 6 days in the beautiful Women’s Memorial Gardens, part of our lovely parklands. Sitting in the shade of the trees on an early autumn day listening to writers talking about their books and their writing craft is a very pleasant way to spend a few – or many – hours. You can read my impressions of the last Adelaide Writers’ Week here. Fiction writers are, if you think deeply about it, professional liars. Fiction, by definition, is made up out of the imagination of the writer. I know what Dessaix (a prominent Australian writer) is trying to say, albeit somewhat tongue in cheek. The audience’s amused reaction was predictable. He is generally a very entertaining speaker, panellist and a very talented writer. The interesting thing I find about thinking and talking about fiction is that, although all fiction is imaginary, made up, not true, there is another element at work in sometimes very subtle ways. One could call most fiction a lie, good literature will illuminate truths about the human condition. And what is truth anyway? ‘You have to write the first draft of your novel to find out what the b***** book is about.’ Tom Keneally at the 2010 Adelaide Writers’ Week. Writing the first draft of a novel or short story can be daunting, scary, puzzling, confronting or fantastically exhilarating. Often all those things at once! When I was writing my novel last year I was pushing the limits of my writing abilities. I had a strict deadline, I was recovering from a serious illness and I was frankly terrified that I wouldn’t get finished on time. The adrenalin was pumping overtime, but I did it. I found that once I built a little momentum in the first few chapters, the story and characters took over. Where normally I can often struggle to produce a thousand words in a day, I found that the momentum built to such a degree that I was sometimes churning out over 2000-3000 words in a day. The feeling was great and the story quickly took shape, structure and character. I did have a sort of outline for the story. I didn’t have a strict plot as such. Instead I let the story write itself. Events I had planned had interesting consequences that I hadn’t thought of in the planning stage. I find that this form of writing works best for me. I’ve never been one to plan out every element of the plot, every aspect of each character or even how it will end. In that I can understand the Keneally quote at the beginning of this article. Writing a novel or story can be a journey of discovery. On the other hand I can also understand those writers who must plan every part of the storyline and do extensive character studies before they write even one word. This process is distinct from the research stage. I had to do a great deal of reading in my research phase because my novel was set in a country where I had visited but not lived. I didn’t take many notes from my research. Instead I preferred to merely absorb the culture, the environment and the nature of the people. You are currently browsing the archives for the Adelaide Writers’ Week category.